Create custom marketing automation flows to save time, increase reach, and deliver results. When it comes to automated email marketing, the underlying data is directly tied to a campaign’s success. With good data, services like Mailchimp, Active Campaign, Hubspot, Marketo, and others can do a great job of sending personalized marketing emails to targeted consumers. The power of good email marketing automation lies not in the volume or scheduling of the emails, but in the level of testing, iteration, and ultimately personalization. Then you can build an automatic email marketing machine that reaches qualified leads and delivers personalized messages that resonate. This is how you can quickly expand your marketing efforts and see an instant return. A lead magnet on your site to draw in new visitors and passively collects emails. A lead chat solution like Intercom to collect pieces of data about leads as they talk to you. All of this data lives in separate locations, each with its own unique environment and set of rules. This data becomes a powerful marketing asset when you combine it into a complete data picture. Using Parabola, anyone can import and combine data from any of these sources. Parabola then enables anyone to clean, dedupe, merge, filter, enrich, and add logic to the data, all without touching a line of code or dealing with a fragile spreadsheet. Parabola has created a list of people to retarget and some information to use in the email personalization. Generally, using first names (instead of full names) increases open rates, so use the Name Parser Object to pull out first names. Unified data can be used to create personalized emails that will attract and convert leads. You could repeat the aforementioned steps with each segment of leads that you are targeting, but that could take hours to pull each new data set and run the flow manually. Your time should be spent on analyzing, testing, and iterating, so why not automate the data processing? Once a flow is set up, schedule Parabola to automatically refresh the data coming in and then pass it through the transformations in your flow. Set it to run automatically every day, or just when you have a new campaign to send out. The data always stays fresh. Basic company data is not that impressive for automated email marketing. How about sending to multiple email addresses, some who are CC’ed, and having the salutation automatically include all the first names, with proper punctuation? That would be far too time consuming to do manually without Parabola. For example, when marketing a service that charges per seat — it would be common to target adjacent employees in the company who are not yet using your service. Obviously, a hand-typed email would be best, but sales and marketing superstars don’t have time for that. Use a combination of data manipulation objects to build a flow that will combine the first names of all of the recipients at a company, join them with commas, and insert an “and” before the final name. Even add “(CC’ed)” after each name whose email is in the CC column of the table. This can be done automatically and intelligently, checking if there are leads who are not closed, and who have colleagues already using the service. When someone’s colleague signs up for the newsletter months from now, they will receive an extremely personalized email — automatically. 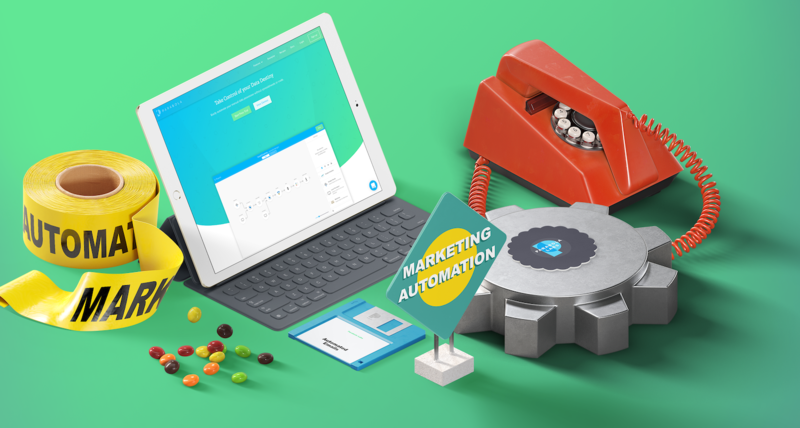 Most marketing automation tools have some form of goal tracking feature, but let’s be honest, it never works like you want it to. Many times the utility of goals is limited by the tool. To maximize your efficacy, you need custom goals. Ty to set a goal that x% of the people who receive the campaign should sign up on a business-tier plan within 30 days, and they should invite at least one colleague to join them. How could that goal be set without involving an engineer? The results are custom goal success metrics. You could even plot them on a chart to track performance over time. Companies grow by generating continuous demand and then capturing and nurturing leads. Adding automation and improving the efficiency of the top of the funnel is a great way to grow your business while simultaneously freeing yourself up to tweak other areas of your sales and marketing engine.